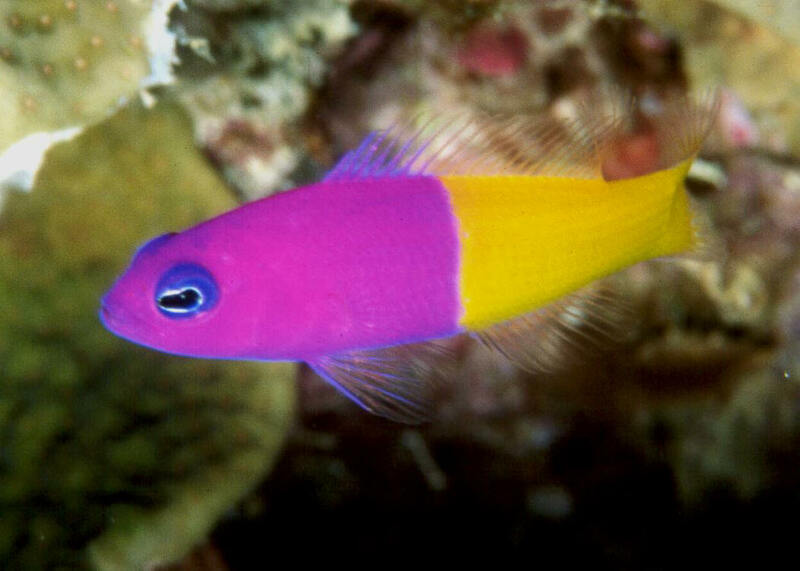 Pseudochromis fridmani Klausewitz 1968, the Orchid Dottyback. 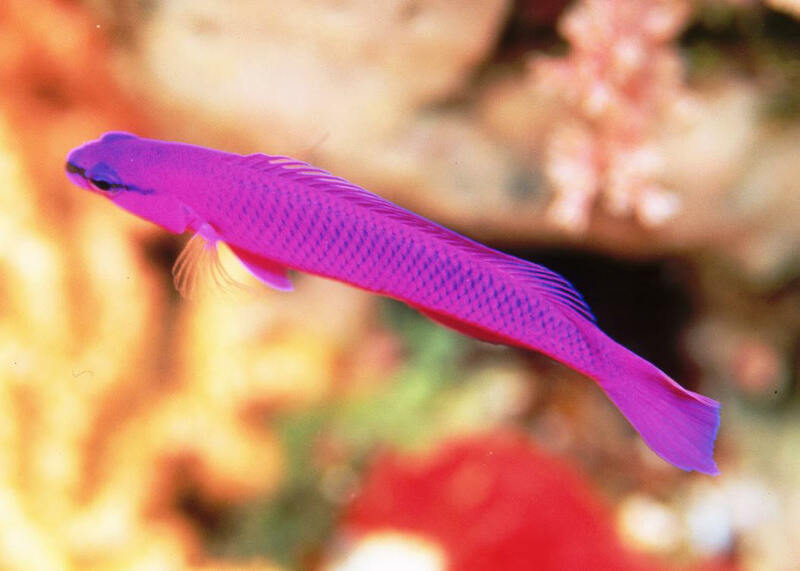 Known only from the Red Sea, but cultured in commercial numbers. To three inches in length. This photo taken in Sharm, Red Sea. 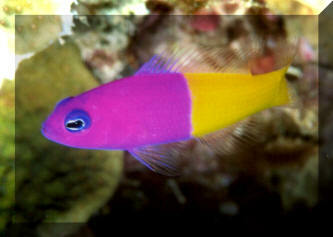 Pseudochromis fridmani Klausewitz 1968, the Orchid Dottyback. Known only from the Red Sea, but cultured in commercial numbers. To three inches in length. This photo taken at Interzoo 08. 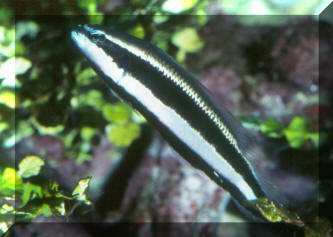 Pseudochromis paccagnellae Axelrod 1973, the Royal Dottyback. Western Pacific. To three inches long. 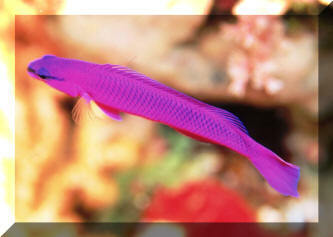 One of the easier going members of the family and one of the original aquarium Dottybacks. Photo taken in Bunaken/Sulawesi/Indonesia. 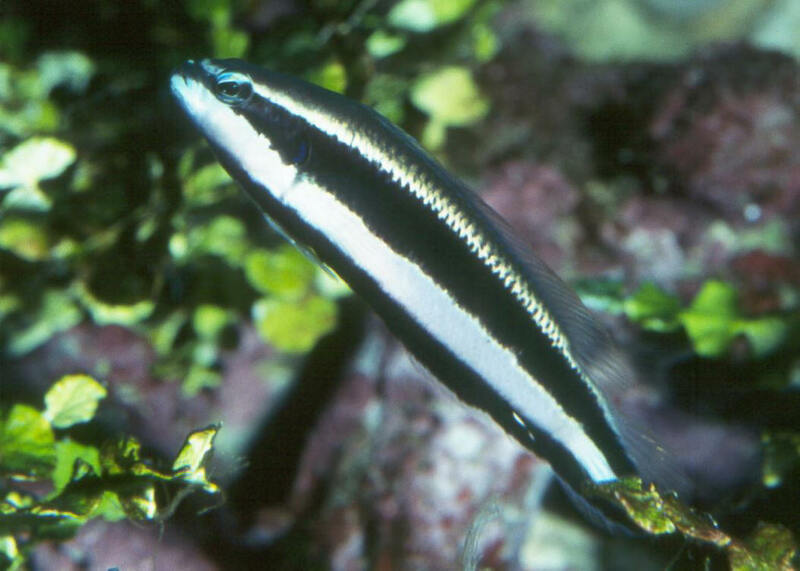 Pseudochromis sankeyi Lubbock 1975, the Striped Dottyback. Gulf of Aden and lower part of Red Sea in the northwestern Indian Ocean. To three inches in length. Aquarium photo.